Toyota is back at it again with yet another electrified vehicle you wouldn’t commonly associate with the brand. 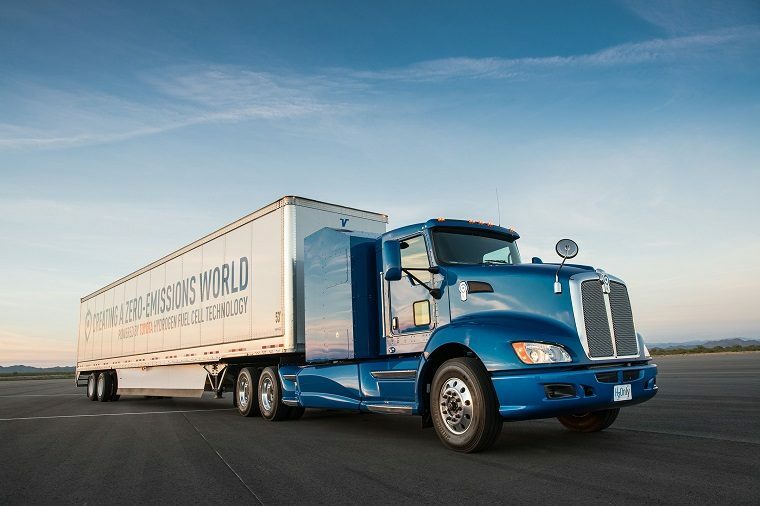 After recently unveiling its hydrogen-powered fuel cell buses, and then a hybrid boat, the latest project Toyota has been working on is none other than a hydrogen-powered fuel cell semi-truck. Based on what the automaker calls “Project Portal,” a hydrogen fuel cell system designed for heavy-duty trucks, the prototype combines a 12-kWh battery with two Mirai fuel cell stacks and a powerful electric motor to make more than 670 horsepower and 1,325 lb-ft of torque. Those numbers are roughly equivalent to a normal big rig diesel engine, though the fuel cell truck’s acceleration should accelerate much more quickly. The concept has a gross combined weight capacity of 80,000 pounds and can go more than 200 miles per fill under normal drayage operation. Keep in mind that unlike regular electric vehicles, hydrogen fuel cell vehicles can refill quite quickly and emit only water vapor along the way. Toyota revealed the truck at the Port of Los Angeles, in the company of port officials and representatives from the California Energy Commission (CEC) and California Air Resources Board (CARB). The goal of Project Portal is to provide a zero-emissions solution for heavy-duty trucks that can serve a range of industries, starting with the many trucks that deliver goods to and from the Ports of Los Angeles and Long Beach.